Do you want to enjoy the stunning summer holidays in Europe? A sailing or yachting experience is an ideal way to celebrate your holidays with family and friends. Sailing holidays in Europe will allow you to visit various stunning locations such as Croatia, Greece, Italy and France. 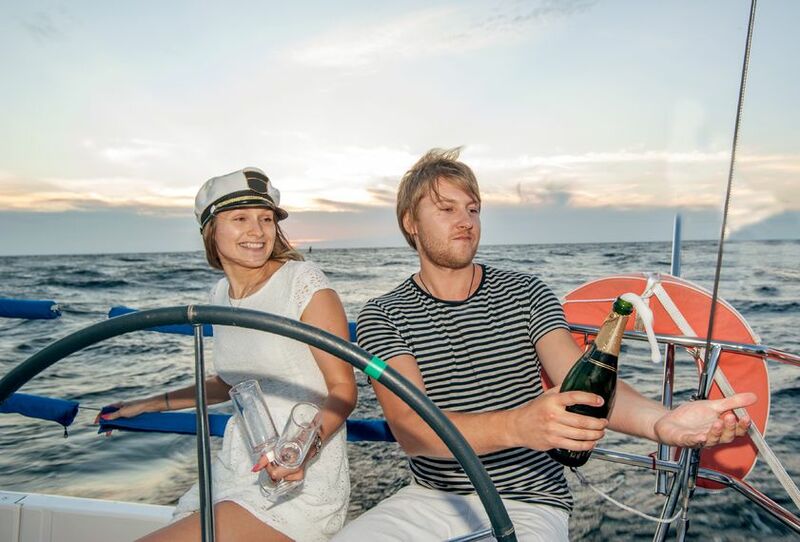 Going on sailing holidays or yachting holidays is not just for rich families! Many travel firms can help you arrange a trip within budget. Are you ready to start planning your travel? One of the most important aspects of planning your trip is choosing the location. You must choose a prime location that will give you numerous opportunities to enjoy fine food, art and the beauty of nature. Which part of the Mediterranean Sea do you think will you enjoy for your Yachting holidays? Here are out top four picks. Greek Islands. Who wouldn’t love to go visit Greece? It is a place so full of culture. It has a rich history that go way back to the time of ancient philosophers. The place is simply so full of attractions from the beautiful volcanic surroundings of Santorini to the sophisticated southern area of Mykonos. It also has excellent food and wine that will surely please any connoisseur. Step back in time and enjoy this beautiful island on your next yachting holidays. Sicily, Italy. Enjoy these breathtaking islands just at the bottom of Italy. This charming place offers a beautiful range of landscapes. Mountains, volcanoes and cities are scattered throughout the island. This place is overflowing with history and art. In Sicily, you will enjoy a true Mediterranean climate. Sailing holidays are possible from April to October. Strong winds are in the months of September, October and November. If you are going on yachting holidays in Europe, you cannot miss this wonderful place! Corsica, FranceIf you are looking for a place where you can be alone and isolated, Corsica, France is ideal for you. It is one of the best-kept secrets in the world, and the place has not been ruined by the modernity of our civilisation. It has a small fishing village and very dramatic shoreline. If you want quiet and peaceful sailing holidays, this location is ideal for you. Balearic, Spain.The Balearics islands are ideal for sailing holidays in Spain. When you sail this area, you will be able to easily visit Ibiza, Majorica, Minorica and Formentera. This area has undeniable traces of civilisation from the past like the Byzantine Empire and the Greek and Roman periods. You can sail all-year long in this very beautiful place, but the most comfortable sailing season runs from May to September. Winter cruising is feasible but keeps in mind that you will need very different facilities for different seasons.